So … here are the list of the top 10 finalists, in no particular order. 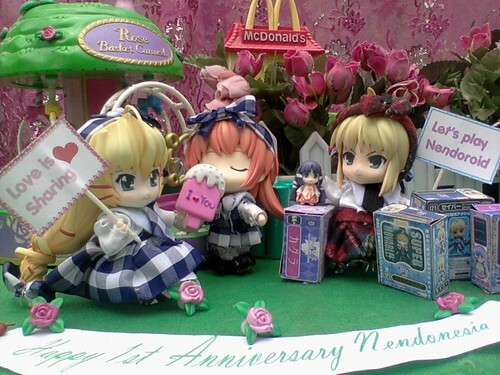 Comment: In nendorid district Konata and Kagamiku open new shop that sale traditional snack. 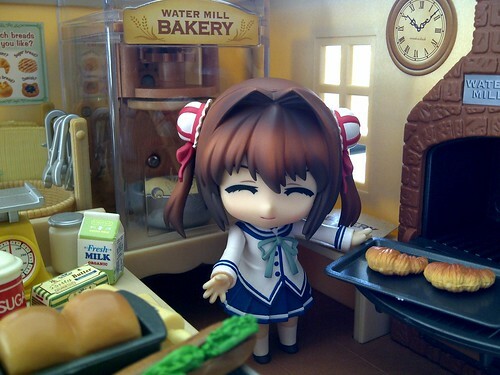 They want to share happiness to everybody by making delicious snack. 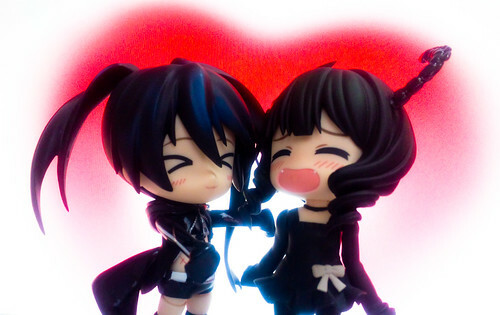 Comment: So sweet look Araragi and Hitagi in love. 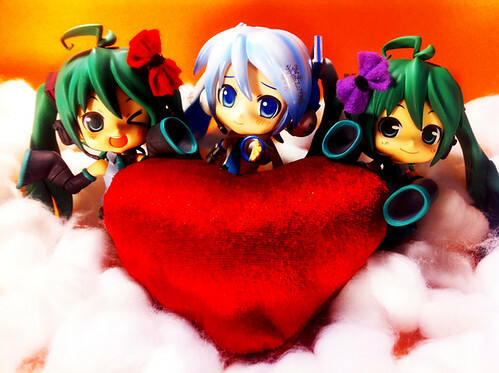 We Love "Go Go Green"
Comment: Miku and BRS-chan has given the power of love for the earth. With 3G “Go Go Green”, we can make the earth smiling. 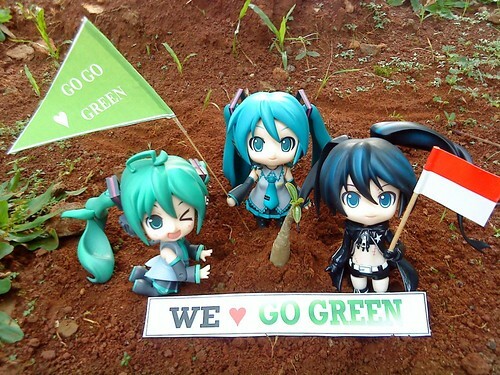 Go Go Green Indonesiaku! Comment: Mr. 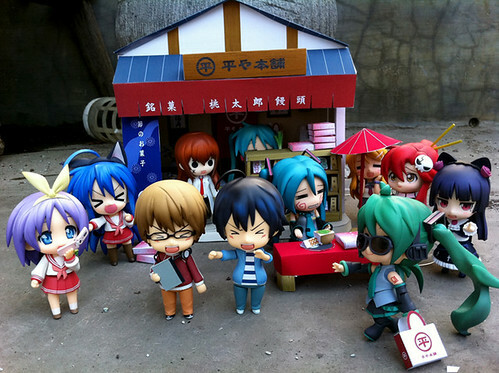 Owner is very busy and he rarely spend time with his nendoroids lately. 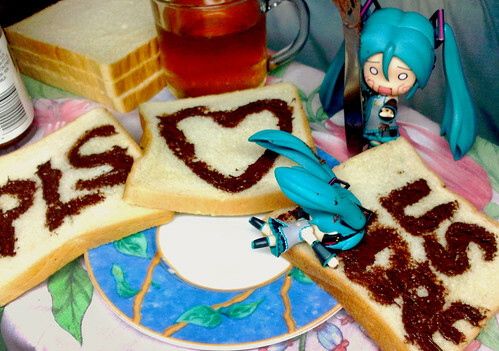 As Mr. Owner’s favorite Nendo, Miku take initiative to leave him a message on his breakfast, but suddenly little petit Miku run towards her and accidentally fell into the bread, thus ruining the message before it’s even finished. 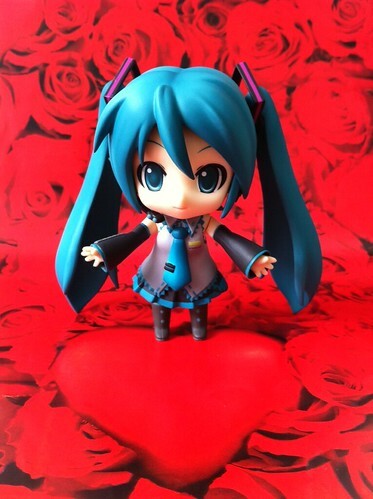 It seems nendo Miku must redo a thing or two to gain Mr. Owner’s love again. 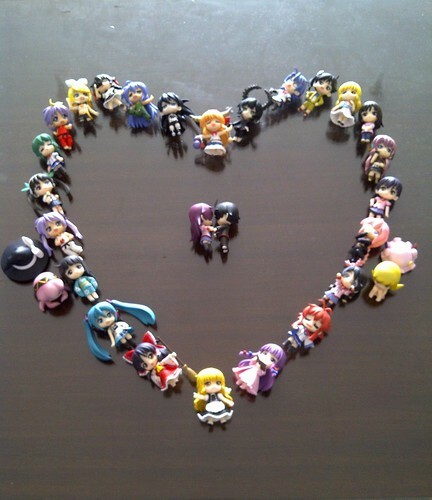 Comment: We LOVE nendoroids because it is MOE, so let’s spread the MOEness to everyone!!! Comment: Yume baked this cake just for her boyfriend. 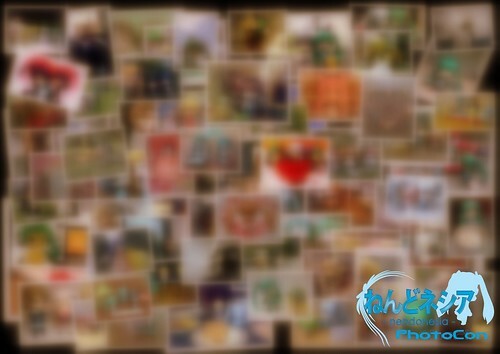 Well then, that is the finalists on Nendonesia PhotoCon #2. Now, it is your turn to choose your most favorite 3 entries out of these 10 … and it will also be accounted for deciding the winners! but all the finalist are great!!! hopefully the best one will win this! 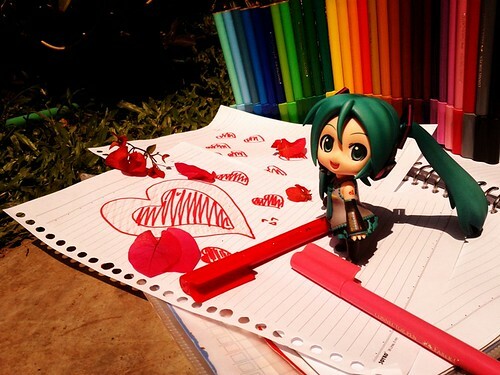 ^^ ganbate for all of the participants! something about the way #5 and #10 rise at such a pace is… wrong. especially that #5, its miraculous enough that it survived the preliminaries. Well, they might have a lot of supporters there so they could climb all the way to the top 3. Indeed it is. That’s why we shouldn’t worry too much about the voting. I am sure that the judge will cast their votes fairly to the best entries based on their preferences.